We introduced an awesome Star Wars themed wall clock last year. Now a new Star Wars starships wall clock has been released by YOU gNeek. if you’re curious, let’s go on checking. 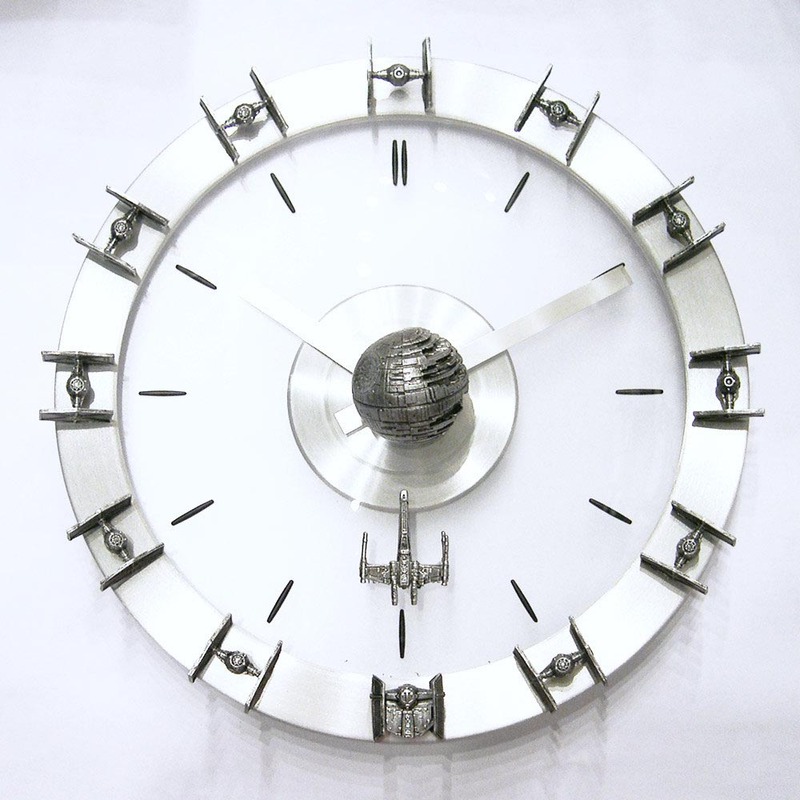 This is a well-designed, Star Wars themed wall clock handmade by Shirley from Randolph, and inspired by the iconic scene from Star Wars Episode IV: A New Hope when Darth Vader and Tie Fighters are all after Luke Skywalker in his X-Wing Fighter. As we can see from the images, the 12 numbers have been replaced by 11 Tie Fighters and Darth Vader’s TIE Advanced, while Luke’s X-wing Fighter is flying to the Death Star placed at the center of the wall clock. 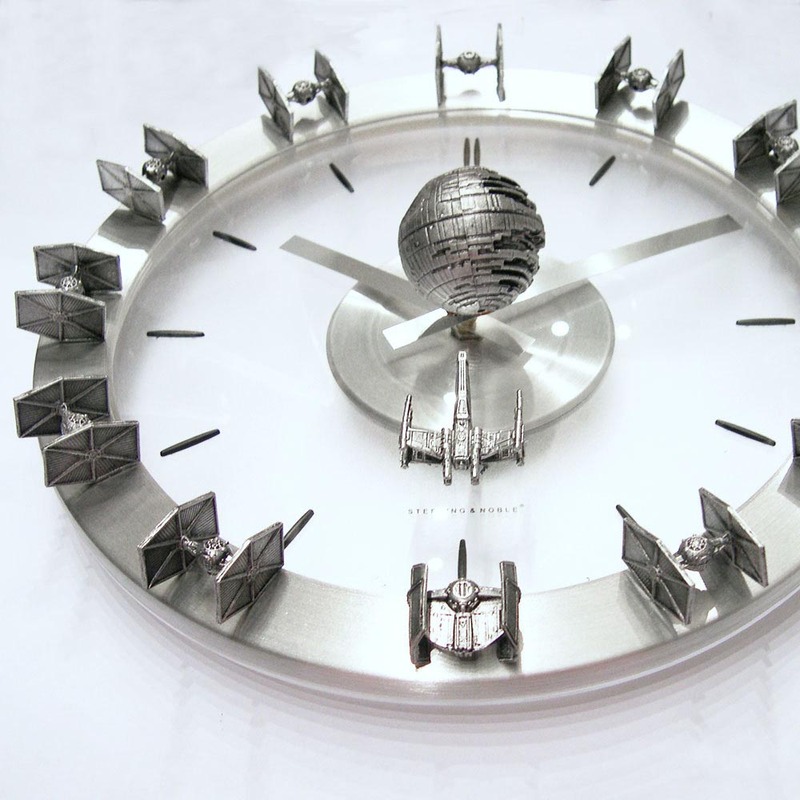 Plus these classic starships and fighters, the Star Wars wall clock measures 13-1/4 inches in diameter. In addition, the wall clock also features a brushed metal frame, and is powered by one AA battery. The Star Wars starships wall clock is priced at $114.99 USD. If you’re interested, jump to Etsy for more details. Additionally, also don’t miss Shirley’s Star Trek wall clock.